There are two general ways to source car insurance in Ontario. Each has its strengths and weaknesses, and particularly in today’s economy, each plays a role in identifying the most appropriate and affordable coverage. Let’s look at each car insurance source. Direct writers of auto insurance are employees of a single insurance company. At one time, direct writers were the norm. Each insurer had teams of sales people well versed with the products the company offered. This changed in the late 20th century, as insurance companies streamlined operations and reduced the number of direct writers in favour of brokers. Insurance brokers represent a number of companies, earning revenue from commissions paid by each insurer. 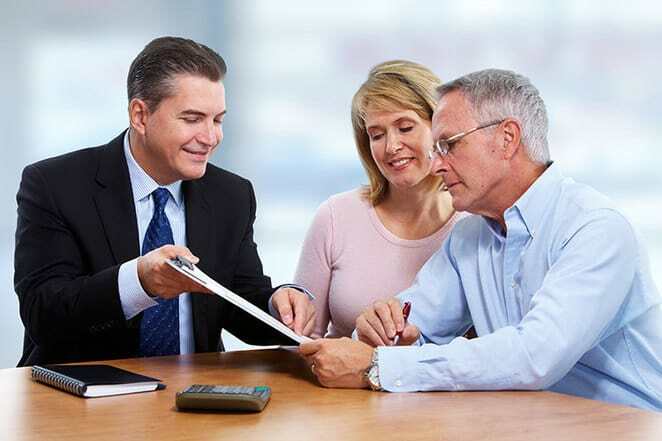 Usually selling other types of insurance as well as car insurance, brokers introduce choice and comparison shopping for the car insurance user. An advantage of using direct writers is reduced overhead for the company. This is particularly true of new technology. Buying auto insurance directly from the company online, a motorist no longer needs to even speak with a company representative. The process can be quite quick. With one company, there’s only one range of insurance products to sort through. A driver also knows that they are dealing directly with the insurer. Real or not, there’s a perception that dealing directly provides greater knowledge and flexibility about insurance products. With the products of a number of insurers at their disposal, brokers can provide drivers with options. These include features as well as price. Say one company specializes in mature drivers. Dealing with a direct writer limits the options a young driver may have for affordable coverage and appropriate discounts. A broker may represent the mature driver company, but also another that’s geared to the young driver. Both price and flexibility improve over direct sales. Limited options are the most obvious drawback. Unless the direct writing company provides the rates and features that are important to the motorist, there’s no option to save money beyond perhaps combining home insurance with an auto policy for discount. This is called multi-line discount, and it’s available through broker sales as well. Direct writing is likely not the best route for a driver who is not informed about car insurance and the Ontario market. The provincial system provides for competition between insurers. Since each company can set its own rates, comparing companies could save a driver hundreds in premiums. It’s no different than grocery shopping. A consumer who shops at one store only has no idea if the prices they pay are high or low. In many cases, it doesn’t matter, if they shop there for familiarity with the surroundings and the people, but that’s only when price and product selection are not high priorities. Using a broker compares with going to a discount grocer before considering a more expensive store. The consumer can pick and choose which items to buy at different prices. While an insurance broker gives the impression of choice, it may not be as extensive as it appears. Any one broker represents a handful of insurers. The Ontario marketplace, administered by the Financial Services Commission of Ontario, contains dozens of providers. No single broker represents all or even a majority of them. If a grocery shopper doesn’t know about the discount shop across town, they may not be paying the lowest prices. The same is true with car insurance. Today’s auto insurance environment has new tools to aid the car insurance shopper. In particular, the online car insurance calculator provides options not available elsewhere. In a few minutes of online time, a motorist provides their driving and insurance history and current car insurance needs. The calculator generates an estimate and returns it to the motorist. Not all calculators are created equally, however. A current trend in direct writing permits drivers to buy insurance at the end of the estimate cycle. This occurs with some calculators provided by insurance companies themselves. Therefore, the calculator is searching only through that company’s products. Ratelab’s car insurance calculator partners with dozens of insurance companies to provide a search base with the widest possible coverage. Though the process takes no longer than direct writer sites as well as being a free service, Ratelab finds the best match and lowest price. You’re presented with this quote and up to nine more affordable alternatives. Once you’ve identified the estimate that best suits your needs, you can use either a direct writer or a broker to negotiate your policy. The more accurate the information you provide, the more accurate your estimate will be.